Action Dock Services Inc has been providing affordable, quality service with fast response times for over 26 years in the Mid-South area. At present, our web site is still under construction. We are making an effort to present you with our entire spectrum of offers as soon as possible. At this point we can provide you with information regarding your service needs. The emphasis of our site is on getting you information about our company. Please check this site again for further updates . In brief, you should know the following about us: Our company was established in 1982 and has been responsible for providing outstanding and timely service. 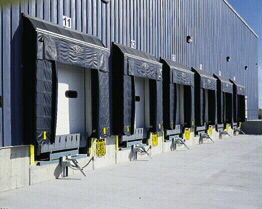 Our specialty is in loading dock equipment but we also offer many other services. Our regular customers value our fast response times. We look forward to assisting you with your needs.